As a full-service ground transportation and logistics management leader, Lowcountry Valet & Shuttle Co. serves Charleston, South Carolina – operating dozens of vehicles from multiple locations throughout the state. We excel in providing group travel services for the widest possible range of customers – from corporations, schools, colleges and universities, to international and domestic tour operators, church groups and local clubs and organizations. Whether it’s 10 or 10,000 passengers for tours, charters, shuttle services and more, customers turn to Lowcountry Valet & Shuttle Co. for on-time performance, quality service, comfort and safety. 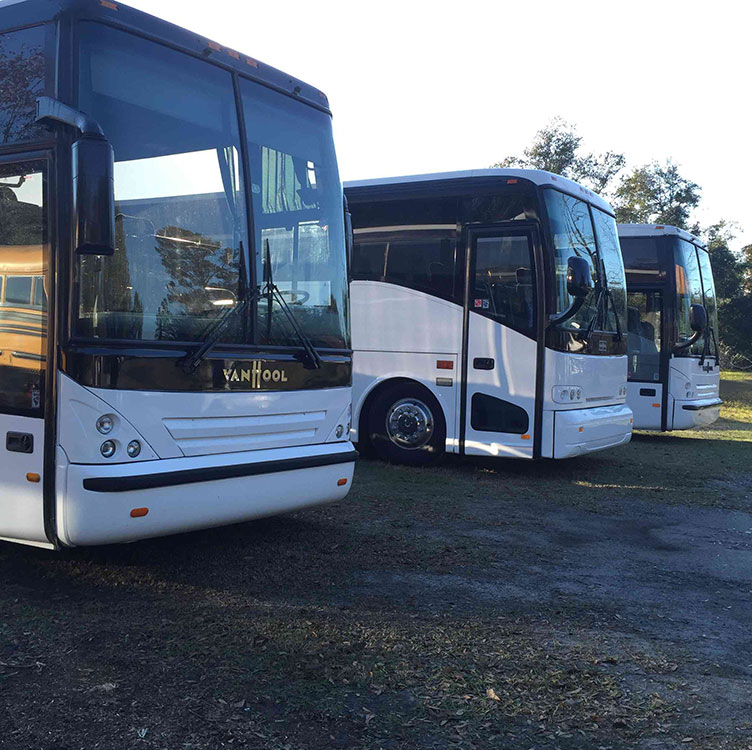 View our Service Fleet Options and learn how Lowcountry Valet & Shuttle Co. can custom-tailor our fleet to perfectly fit your group travel requirement.